Your students' parents are powerful allies and can make your job much more manageable. Learn some tips on how to foster a positive relationship with parents and host a successful open house. Send out personal invitations beforehand. You may want to invite your students to construct the invitations using art materials. Instead of asking students to take them home (where they may wind up in the washing machine), consider mailing the invitations. On the invitation, include the following information: name and address of the school, date and time of the event, your room number (and how to find the room), your name, and a brief outline of the evening's schedule. Plan your presentation and what you will be saying to parents beforehand. Be sure you share something about yourself (where you grew up, your education, your family, your educational philosophy) as well as some of your goals for the year. Your presentation should be no longer than 10 to 11 minutes tops! If your presentation is longer than 11 minutes, it may fall on deaf ears. Dress professionally – remember, first impressions are often lasting impressions. Men should wear a coat and tie or at least a dress shirt and tie along with pressed slacks. Women should wear a pantsuit, blouse and skirt, or dress. Incidentally, go "light" on the perfume and aftershave. Hang a "Welcome" sign outside the door, and be sure your name and the room number are prominently displayed. Have a sign-in sheet for parents as well as a handout listing the activities and presentations for the evening. Freshen up your bulletin boards, and print a daily schedule on the chalkboard. Set out sample textbooks, and be sure all desks and tables are clean. Be sure each child's desk has a folder with samples of the student's work. Post additional student work (be sure to have at least three samples for each student) on bulletin boards. Post photographs of students and activities throughout the room. Keep in mind that some parents may not have fond memories about their school experiences, so here's a great opportunity for you to win them over! Greet each and every parent at the door with a handshake and a smile. This is a wonderful opportunity for you to put your best foot forward. Be sure every parent has a name tag (remember that the last name of a student and the last name of her or his parents may be different – always, always check beforehand). Provide a tray of refreshments (ask for contributions, particularly if different cultures are represented in your classroom) and appropriate drinks. As parents arrive, direct them to a table on which you have placed a stack of index cards, pencils/pens, and an empty shoebox. Invite parents to write a question or two on a card and place it in the box. At the end of your presentation, quickly shuffle through the cards and respond to general questions or those most frequently asked ("How much homework do you give?" "How is reading taught?"). 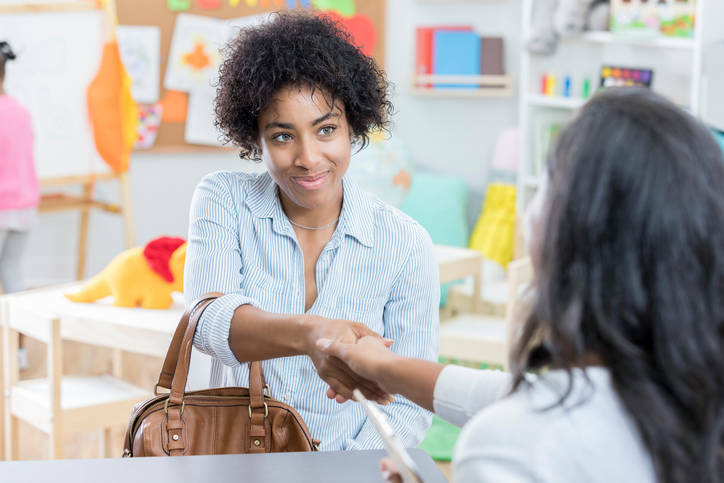 Inform parents that you will contact them personally to respond to more specific questions or ones that focus exclusively on their child's work or progress ("Why did Angela miss recess the other day?" "When will Peter be able to see the reading specialist?"). Keep your presentation brief (remember K.I.S.S. – Keep It Short and Sweet!). 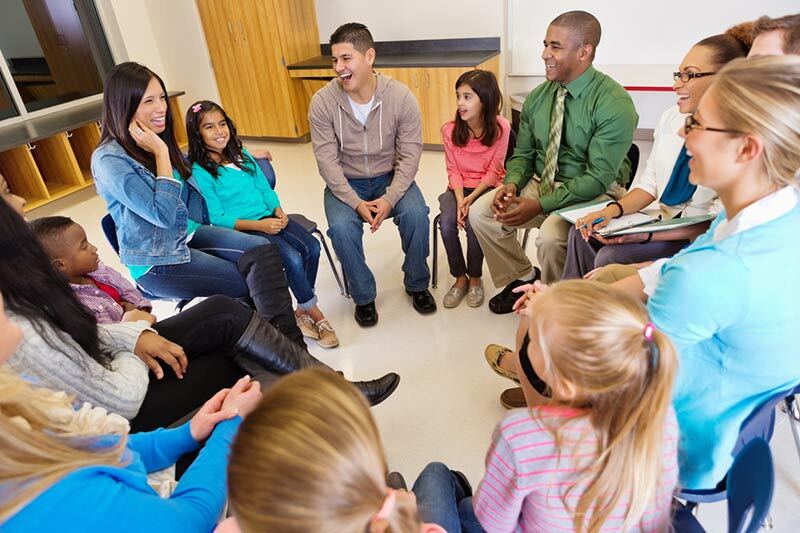 Afterward, invite parents to stay and look at their child's work. Circulate around the room, try to meet all the parents again with another handshake and smile, and offer at least one positive remark about their child. This is not the time for personal conferences ("I'd really like to talk with you, Mrs. Smith. May I call you to set up a personal meeting at another time? ").